What on earth does ADDIX mean? Intermediate tread means maximum braking traction & cornering grip even in muddy terrain thanks to the aggressive open tread design. Down Hill: ADDIX Ultra Soft (purple). A truly bomb proof tyre! Super Gravity: ADDIX Ultra Soft (purple) or ADDIX Soft (orange). Downhill ruggedness at an Enduro weight. Aggressive open tread for deep and soft terrain. Excellent braking and brilliant self-cleaning characteristics due to the large stud gaps. A brilliant allrounder. 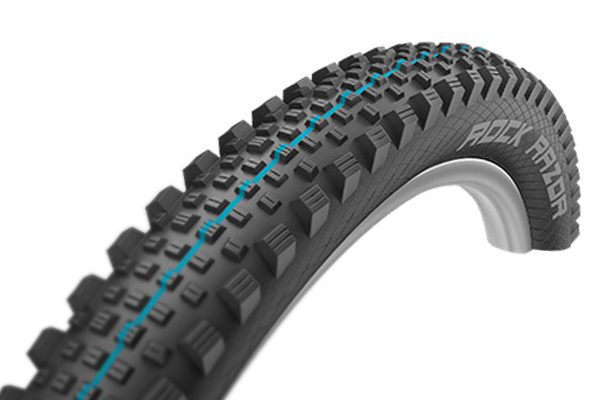 The balanced tread works effortlessly, full control on rough terrain as well as on flowing single tracks. When the trails dry out get this on your rear wheel! Very fast & minimal weight. Flat studs in the centre for low rolling resistance & sturdy lugs on the shoulders for great cornering grip. Snake Skin: ADDIX Speedgrip (blue). Super fast rolling rear tyre. What’s the TY Guys tyre choice? Matthew likes to point his bike down and take the most direct route irrespective of what’s in the way! 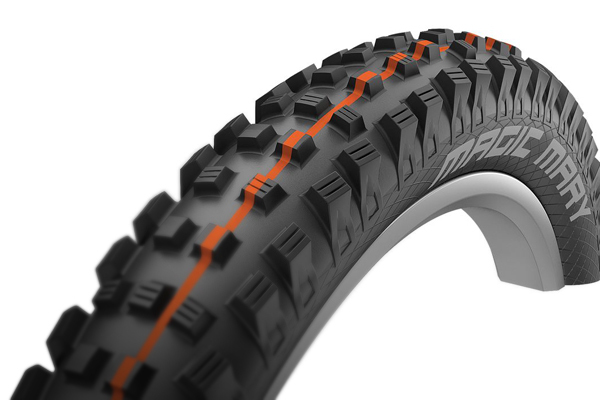 Magic Mary Super Gravity ADDIX Soft ( orange ) front and rear wheel. Jon loves the downs but is happy to pedal across and up to reach them! 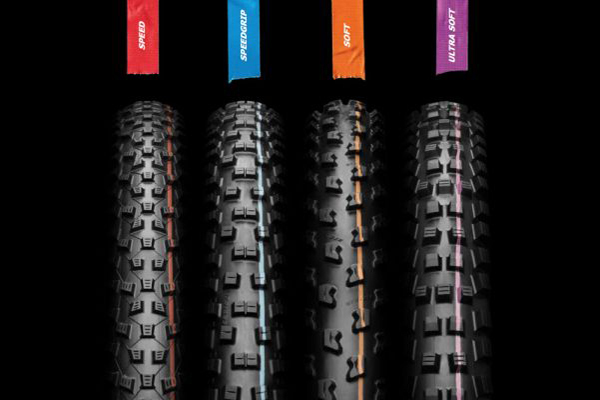 Front - Magic Mary Snake Skin ADDIX Soft ( orange ) Rear - Magic Mary Super Gravity ADDIX Soft or Rock Razor Super Gravity when the trails dry out.